Sales is a unique profession in that many skills translate between industries. If you are a sales professional looking to make a career switch, you might want to consider a company in a growing industry or an industry that is more popular. 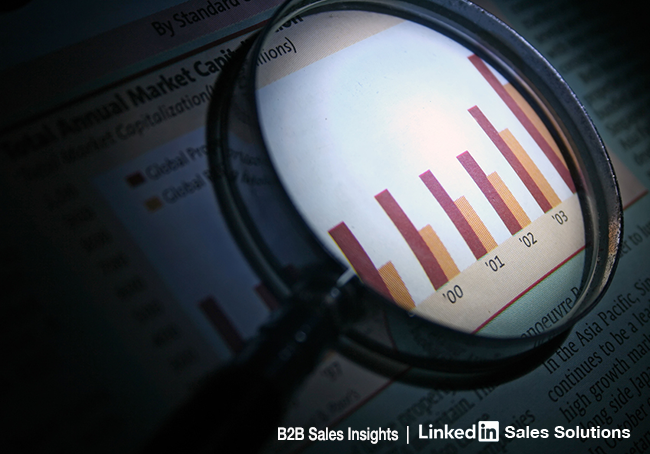 To get a sense of which industries were growing in the number of sales professionals, we analyzed our LinkedIn data to see the percentage change in sales professionals by industry from June 2013 to June 2014. We identified sales professionals by their job titles and determined industry groups based on the companies they worked for. To determine growth, we looked at the increase in number of sales professionals who had a tenure of 1 month or greater from June 2013 to June 2014 and limited our analysis to members who joined LinkedIn before June 2013. 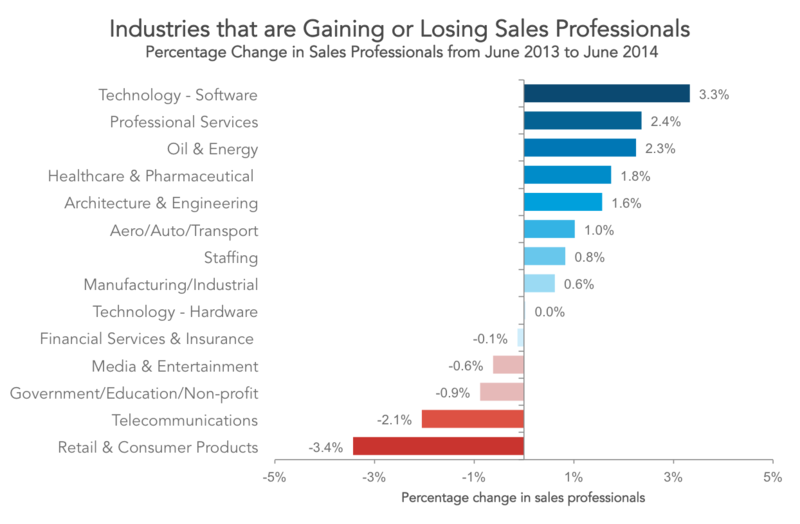 What industries are growing or shrinking in the number of sales professionals? Government and Financial Services & Insurance remained relatively steady. 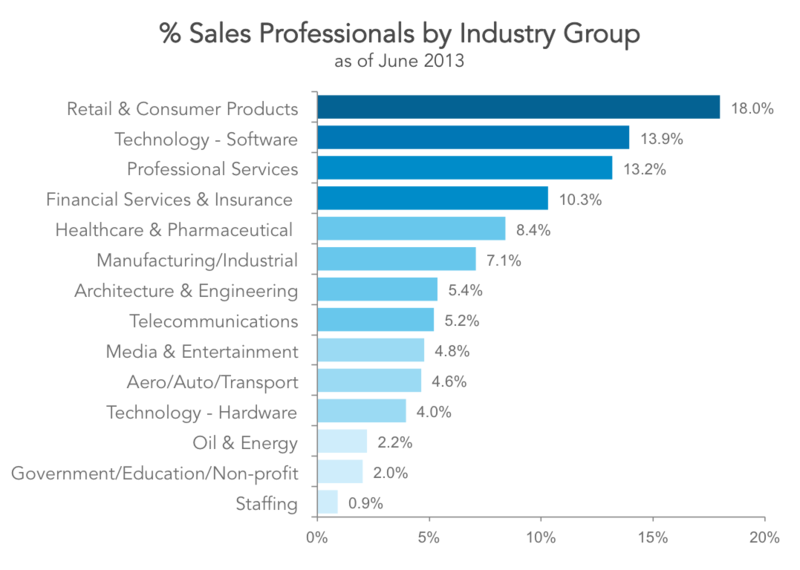 What industries are most popular for sales professionals? So, what can you conclude? If you are a sales professional and you want to be in a popular and growing industry, then you might consider the Technology - Software and Professional Services industry. If you are looking to join a growing but not as popular industry for sales professionals, consider Staffing. If you are hoping to join a popular industry, then consider companies in the Retail & Consumer Products industry. 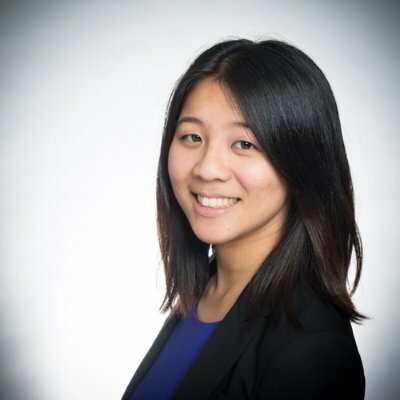 If you are starting your career out in sales or switching companies, what industry are you considering and why?